This hands-on training workshop is aimed at ELT teachers who wish to pursue a practical course that covers classroom practices and pedagogical considerations in the use, adaptation and/or creation of materials. Working collaboratively in class, participants will reflect on, plan, and share their instructional practices as well as adapt materials with the aim of redefining their overall approach to English Language Teaching in their own teaching contexts and, ultimately improve their learners’ overall language performance. The course is for ELT teachers who work in a foreign language school and who, encouraged to reflect upon their teaching situation, will explore alternative practices and classroom activities aligned with the current demands and developments of ELT. Engage participants in a constructive peer evaluation of teaching practices. Facilitate future networking among teaching professionals by fostering a successful teacher learning community. Brief overview of fundamental theoretical and methodological aspects in language teaching and learning: Implications for the ELT practitioner. Task sequencing for effective learning: what do we need to know? Connection with real-life use of English. Exploring the use of printed and electronic-reading texts in the EFL classroom. What do the course books offer? What do our learners need to know? How do we adapt courseware to address the needs of the contemporary learner? How realistic are our practices? How can we use classroom activities and authentic interactions to boost fluency and competence in speaking? Development of authentic listening activities through the use of online tools. Recommended reading selections will be provided. Supplementary self-access materials will be uploaded on Blackboard (Learning Management System). The course will equip participants with the knowledge, techniques and tools needed to employ in their own teaching contexts. The course will mainly focus on practical aspects related to classroom practices with an implicit, however, reference to theoretical considerations. 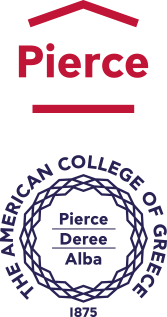 All participants will receive a Deree – The American College of Greece professional certificate of participation upon completion of 80% of the 18-hour workshop. Natasha Tsantila (M.A. in Applied Linguistics, University of Reading, UK), has been teaching and designed courses in academic writing and Linguistics at Deree-The American College of Greece, since 1989. She has worked as an examiner in prestigious examination boards,EFL teacher, English language Programme coordinator and teacher trainer in language centers in Greece. Her professional interests include language and identity, language teacher education, language and pedagogy, teaching English as an International language, teaching Academic Writing. She has presented in international conferences, IAWE, ELF and TESOL. Among her recent publications are: “Student Attitudes toward Accented English: The American College of Greece Context” in L. Lopriore & E. Grazzi (Eds) Intercultural Communication: new perspectives from ELF, (2016), “/kju:kʌmb∂(r) /or /kukumber/ ? Preferences and attitudes toward standard accents in the Greek ELF context” in N. Tsantila, J. Mandalios & M. Ilkos (Eds) ELF: Pedagogical and interdisciplinary perspectives, (2016), “Cultural identity, accentedness and attitudes of Greek speakers of English toward English pronunciation in the EFL context” in E. Agathopoulou, T. Danavassi, & L. Efstathiadi (Eds) Selected papers from the 22nd International Symposium on Theoretical and Applied linguistics (ISTAL 22), (2017), “ELT course books and Global English: the case of Greek lower secondary state schools” in Revista A Cor das Lettras (vol 18). She is the co-editor of the volumes ELF: Pedagogical and interdisciplinary perspectives (2016) and “English as a Lingua Franca for EFL Contexts” (2019) published by Multilingual Matters.She was the ELF7 Conference chair, held at Deree, Athens, in September 2014 and she has been currently working on her PhD on ELT materials.